Great actor training focuses on the whole instrument: voice, mind, heart, and body. A strong physical presence is crucial to the professional actor being fully aware and open in terms of physical habits, postures, gestures, body language and voice and sound. Movement I is designed to develop the actor’s physicality. It will release the constrictions of the actor’s instrument and free the actor’s emotional life; to move away from pedestrian, every day, socialized behavior and to embody a more authentic, expansive, and unbridled expression. Throughout the twenty-week period, students go through a variety of exercises drawn from the Williamson Technique. They will begin to understand how this technique is the physical component of the acting work they are doing in their Meisner classes. It is a chance for students to immediately move beyond physical constrictions and use the body as a full acting instrument that can interact unimpeded with all the senses, to the world around them and to the other “players’ in that world..
Students will explore where tension is held in the body and how the body responds when it is emotionally alive. Simultaneously, students will be building a sense of grace, flexibility, strength, stamina, and vulnerability. The goal is to effortlessly apply these principles to making clear physical choices in the acting work. $940 ( Weekly classes over a 20 week period ) 50% deposit required to register. 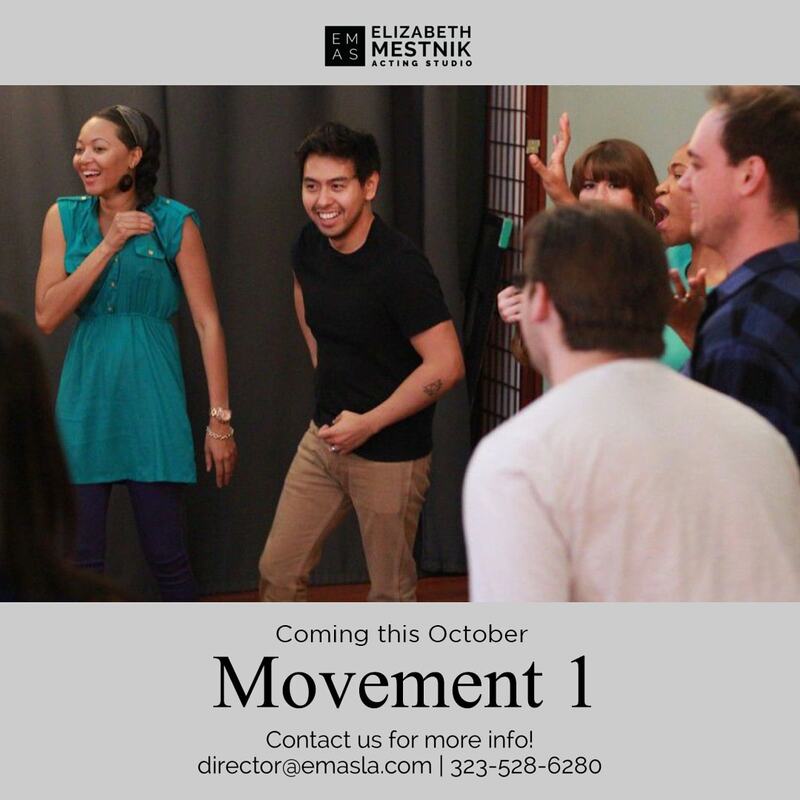 If you would like more information, please call Elizabeth at 323-528-6280, or director@emasla.com.